The Renault Captur came under scrutiny during a French government investigation sparked by VW's admission it cheated on emissions tests. PARIS -- France's Environment Ministry denied it had omitted key elements concerning some Renault cars in a report on vehicle pollution it commissioned following the Volkswagen emissions-rigging scandal. 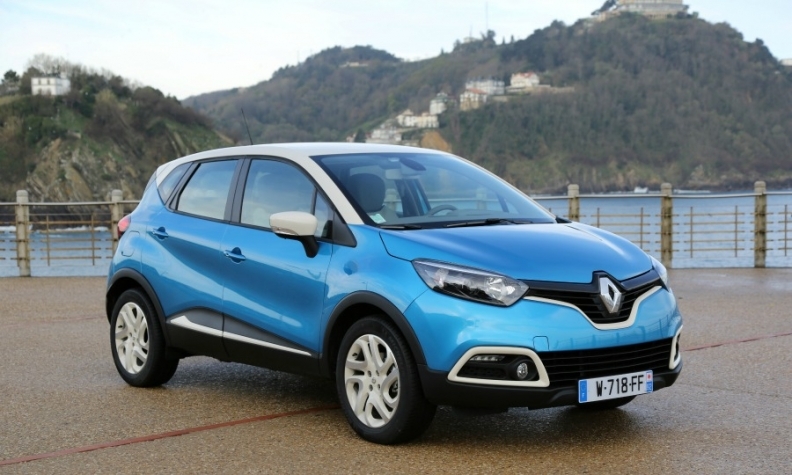 The Financial Times reported on Aug. 22 that three members of the French commission said the report did not include full details of their findings, including some discrepancies in Renault's Captur subcompact SUV. The members also suggested the government might have been soft on Renault because of its 20 percent stake in the carmaker. "The ministry wishes to formally deny Financial Times' affirmations in the story on the commission's report on car emissions," it said in a statement. "France is the only country that has set up an open and independent commission following revelations in the Volkswagen case, and tested all car brands in the French market," it said. In January Renault recalled 15,800 Capturs to fix pollution-control systems. The automaker also offered voluntary emissions-system updates for about 700,000 vehicles with the latest Euro 6 generation of diesel engines. Renault reiterated on Wednesday that it strictly complied with regulations and its cars were not equipped with emissions falsifying software. The company it had sent all required technical explanations to the French commission and other authorities carrying out similar investigations. France's environmental regulator began randomly testing vehicles to check differences between lab results and real-world emissions after the Volkswagen scandal erupted. French officials said in April that some cars it tested had higher CO2 and NOx emissions on the road than in laboratory tests but found no "cheat" devices. The Environment Ministry said on Wednesday it has published results of all 86 vehicles that have been tested. It said the state body in charge of competition, consumer affairs and fraud has launched an investigation into all anomalies detected during the tests. Download report PDF (in French), above right,. In January fraud investigators inspected three Renault sites as part of the emissions probe. In April PSA Group offices were also raided by investigators.